We're excited to present Ourselves in an acoustic concert event in the Donovan Room. You'll hear sweet and sour Irish love songs. Get in the spirit and tap your feet and sing along to the upbeat folky sounds from the Trio. 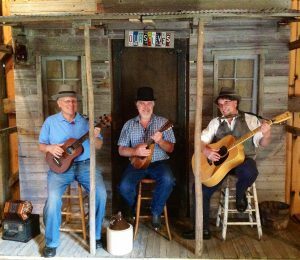 Ourselves features local musicians Lynn Surbrook, along with Walt and Tom Schlicting.